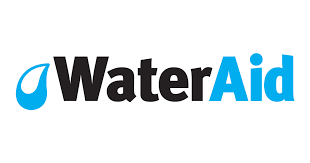 This year, we are supporting the Wateraid Harvest appeal working with Threemilestone Methodist church. We are asking over the summer holiday, for families to collect spare change in jamjars. Just before our Harvest festival, we will be asking children to bring in their contributions to put towards the school fundraising for this worthwhile cause. We have already had an assembly launching this, by Mr Keeble, and in September, we will be inviting a guest in to receive our contributions in our Harvest celebrations. We will also be distributing our Harvest gifts in the community on Monday 24th September. If you are able to contribute, please bring in Harvest gifts into the hall in the morning. If you have any shoe boxes we can pack up, then these will be greatly appreciated also. If you are able to distribute these Harvest boxes to our community with our Y6 pupils between 12 and 1 on the 24th, please let the office know. Many thanks in advance for your generosity.